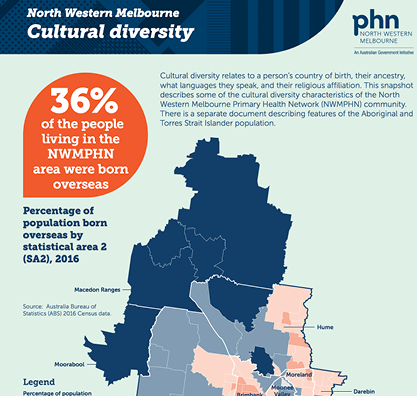 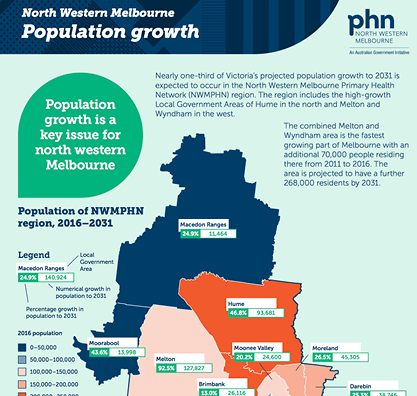 According to the 2016 Census, the North Western Melbourne PHN region is home to 1,640,000 people. 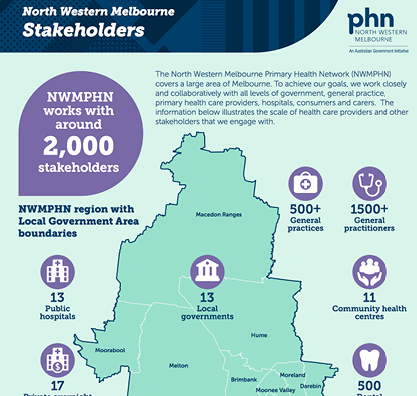 The NWMPHN area encompasses most of central, western and northern Melbourne. 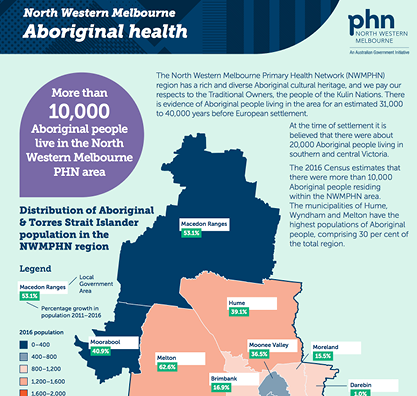 The Community Profile provides demographic analysis for the Region and its suburbs based on results from the 2016, 2011, 2006, 2001, 1996 and 1991 Censuses of Population and Housing. 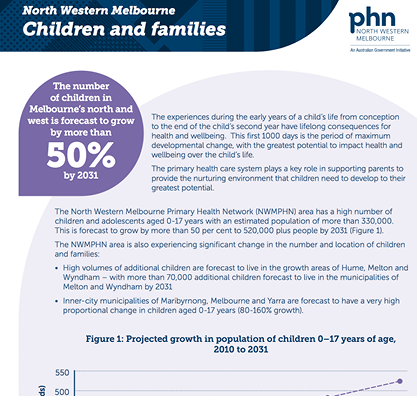 The profile is updated with population estimates when the Australian Bureau of Statistics (ABS) releases new figures. 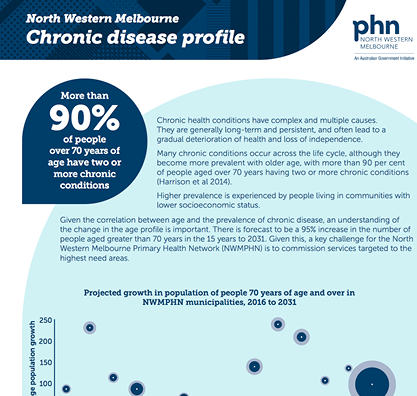 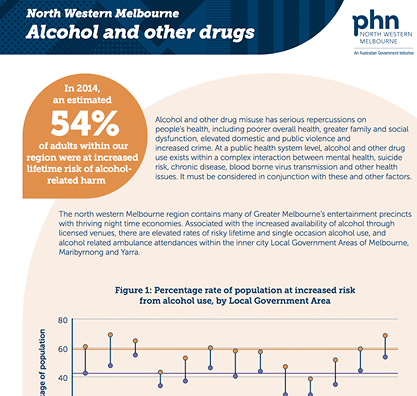 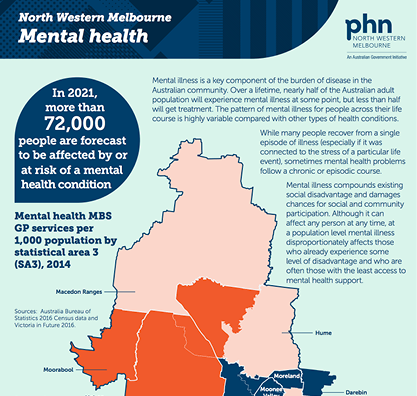 The below infographics provide a snap shot of the key health issues facing people living and working in Melbourne's north and west.